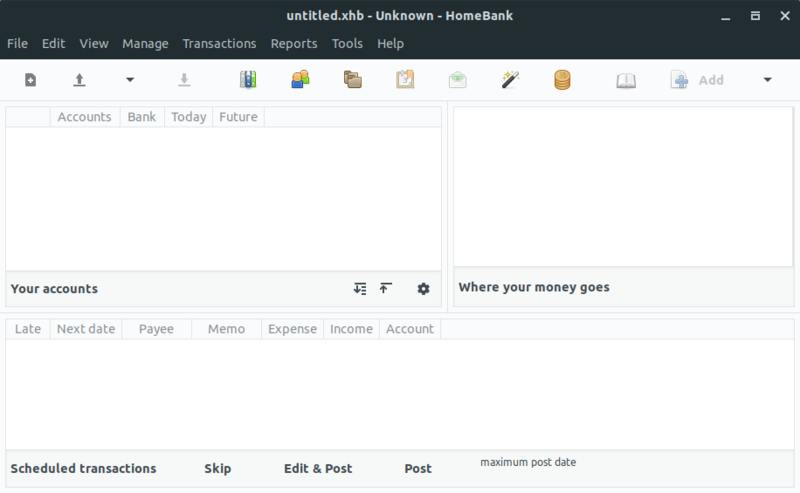 HomeBank is a free accounting app for Linux, Windows and Mac OS. Using this you can manage your personal accounting, budget and finance. It comes with powerful filtering tools, beautiful charts and with more than 56 languages support. You can import from Intuit Quicken, Microsoft Money and bank account statements from OFX, QIF, CSV, QFX file formats. It supports Duplicate transaction detection, Automatic cheque numbering and Bank, Cash, Asset, Credit card, Liability account types. Some other features are Month/Annual budget and view reports with charts. To start the installation, just open your terminal app and type the below command and hit the enter key. It will add Homebank PPA on your Ubuntu system. Type your ubuntu password and press the Enter key. Then again press enter to confirm it.Then type the below command in terminal. After that run the below command and type Y to install Homebank on your Ubuntu system. After the installation of Homebank, click the show applications in the Ubuntu Gnome dock and type Homebank in the search box and click Homebank to open it. For Unity you search Homebank from ubuntu dash.